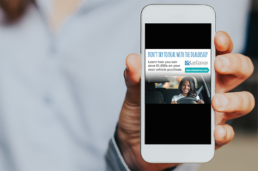 Our client, Las Colinas Federal Credit Union, wanted to reach current and potential members with their auto loan campaign. 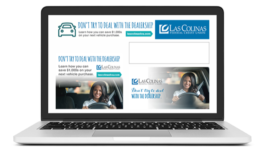 They wanted to show that Las Colinas FCU loans are a more affordable and more convenient option when buying a car. They wanted to boost their loan growth for the year of 2018 and they turned to us for help. As with all great advertising campaigns, this one began with research. Our research endeavors revolved around two questions: Who should we market to? How best can we reach them? In our research, we found that new car shoppers spend 5-10 hours doing online research before even doing a test drive. We found that millennials, specifically, spend 8-10 hours online researching these vehicles. This one sentence answered both of our questions: we needed to reach millennials and the best way to do so was via digital marketing. We also found that 90% of car shoppers start on an auto specific shopping site and 53% of automotive shoppers used their mobile device to do their research. With over half of our target market shopping on mobile, our ads had to be optimized for mobile devices. These ads also should probably be Google Display ads that can target anyone making a search related to car purchases. Lastly, they should be geared in copy, art work, and placement toward millennial age groups. So we went to work. We designed ads that featured a woman in the millennial age group driving a car. The copy was the tricky part. We know that two of the most valuable things to millennials are time and money. 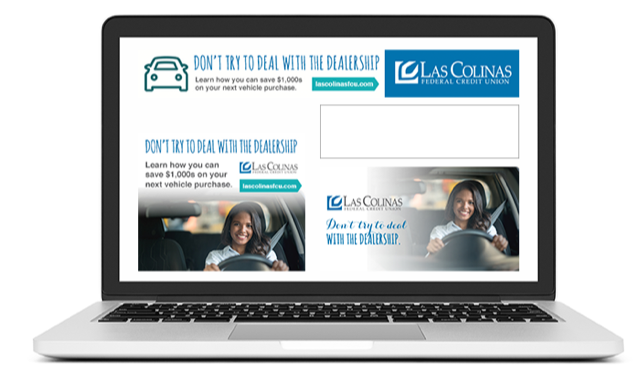 Las Colinas FCU did the homework and verified that Las Colinas residents who went to dealerships with the purchasing power of a cash buyer not only saved a lot of money, but were in and out of the dealership with far less hassle and far more time on their hands. Finally, the most difficult part of any Google Display campaign is targeting. Google doesn’t offer advertisers the luxury that Facebook does of being able to differentiate among specific age groups, interest groups, genders etc. So to be able to target these as effectively as possible within the Google Ad platform requires planning and research. What Google did offer was the ability to target specific zip codes within Las Colinas FCU’s market area. We were also able to target specific websites and searches — so those millennials searching for vehicles on auto specific sites would be directly targeted with these ads. Then we merely needed to determine the most effective times to place the ads so that the age group we were targeting would be most likely to see them. Ultimately, this campaign was very successful for Las Colinas FCU. 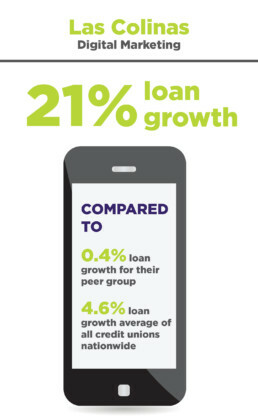 They’ve seen a 21% loan growth this year compared to the 0.4% of their peer group and the 4.6% average of all credit unions nationwide. It all goes to show that a lot of research, a little creativity, and a whole lot of planning can really take campaigns a long way.